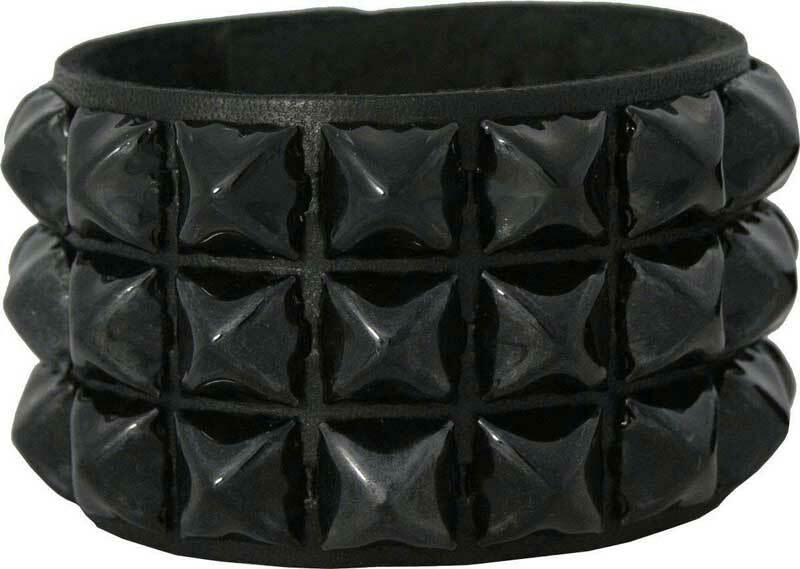 Leather Wristband With 3 Rows. 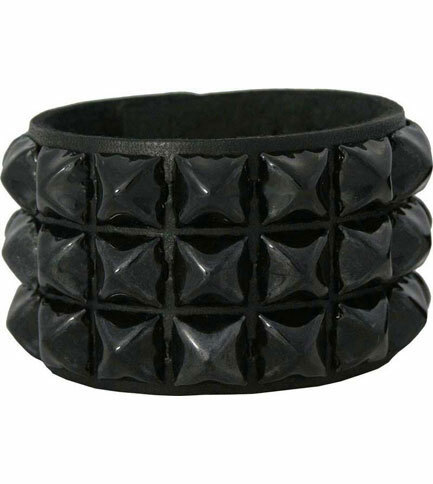 Black Chromed Pyramid Spikes. Button Fastener. Medium-7 1/2 Inches. Large 8 Inches. Made in the US.